Taub, whose journalistic career predates the advent of radio, began broadcasting boxing matches in 1924 for NBC. Prior to that, he was a sportswriter and editor for the New York Morning Telegraph when the city had dozens of daily newspapers. 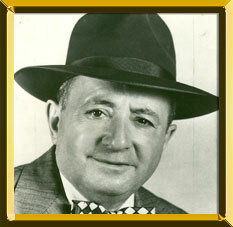 Taub is credited with pioneering the live blow-by-blow style of announcing fights on radio. During his career, he teamed up with two broadcasting legends, Angelo Palange and later Bill Stein. Taub's career at calling fights from ringside ended following the Tony Zale vs. Rocky Graziano middleweight title bout in 1947. He then became the host of a popular radio program called, "The Hour of Champions," which ran for 24 years. Throughout his career, in which he is estimated to have viewed more than 12,000 bouts, approximately 7,500 of which he called for listeners, he often wrote a column and occasional feature story for the sport's house organ, The Ring. In 1958, the Boxing Writers Association of America presented Taub with the James J. Walker Award for Long and Meritorious Service. And when the organization decided to honor excellence in broadcasting, in 1978, it not only named the award after Taub, he was it's first recipient. There should be no surprise that to those who heard him, Sam Taub is regarded as one of the greatest announcers of all time.